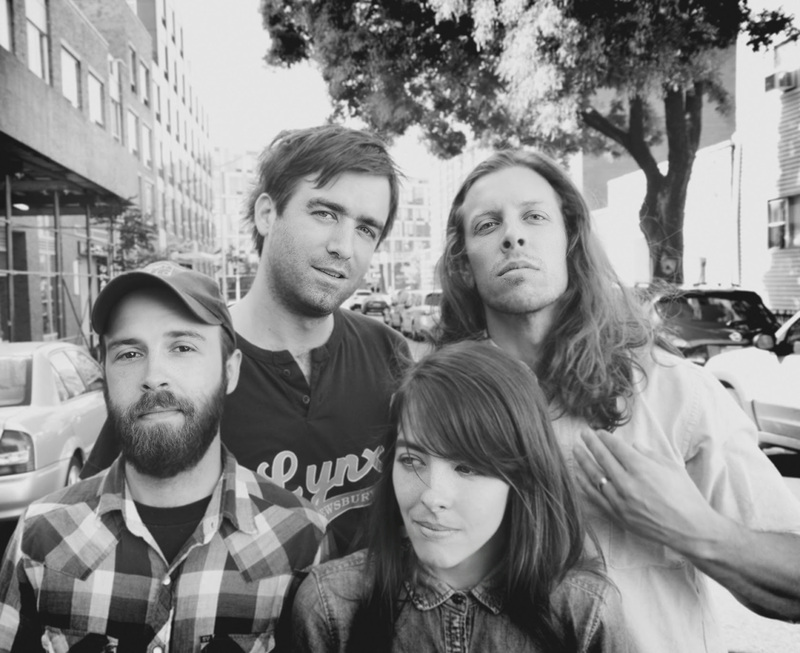 Philadelphia’s Hop Along is set to release their sophomore album Painted Shut on May 4th through Saddle Creek. Known for their enigmatic indie-pop meets growling guitar grunge, Painted Shut is a record of lush compositions, fuzzed-out guitar riffs and captivating vignettes that tell vivid stories of desperation and weary awakening. On the album, recorded and mixed by John Agnello (Kurt Vile, Dinosaur Jr, Sonic Youth) in Philadelphia and Brooklyn, singer Frances Quinlan is joined by her brother Mark (drums), Tyler Long (bass) and Joe Reinhart (guitar). The narrative of Painted Shut is entangled with the lives of legendary, though obscure musicians Buddy Bolden and Jackson C. Frank, who battled mental illness until their penniless deaths. It touches on accounts of poverty, abuse, greed, as well as other banal, sub-par behaviors. The songs aim not to be weighed down by their difficult subject matter, and are at times both jubilant and irreverent. Having just wrapped a tour with The War on Drugs, and ready to promote the release of their album, Hop Along is readying to embark on a spring tour spanning both coasts with the occasional dip into Canada. But first, in advance of the release of Painted Shut, the band has put out the single “Texas Funeral”. The song is carried by Frances Quinlan’s vocals, alternating between breathlessness reminiscent of The Cranberries and raspy belting recalling Janis Joplin. Though the title and lyrics point towards sobering events, the catchy chorus is insistent that “None of this is gonna happen to me”. Painted Shut is available for pre-order here. Tags: Brooklyn, Buddy Bolden, Dinosaur Jr, Frances Quinlan, Hop Along, Jackson C. Frank, Janis Joplin, Joe Reinhart, John Agnello, Kurt Vile, Mark Quinlan, Painted Shut, Philadelphia, Saddle Creek, Sonic Youth, Texas Funeral, The Cranberries, The War on Drugs, tube magazine, Tyler Long. Bookmark the permalink.